Turmeric has cleansing, antioxidant, anti-inflammatories and pain relief properties. 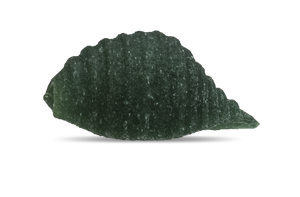 Spirulina has immunostimulant and antiastenic properties. Our artisanal laboratory is divided in two parts: one is gluten-free, the other one is not. This division assures that wheats will not contaminate each other, since they are also housed in different areas to avoid any potential contact, even if it was only airborne. White corn and Sorghum are naturally gluten-free cereals. 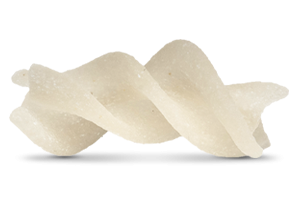 Our pasta is easy to digest thanks to its fiber and starch content. Compared to a kind of pasta made from wheat or other vegetables, including legumes, does not inflate, does not cause intestinal distress, does not cause post-lunch drawsiness and it satiates with lesser quantities. 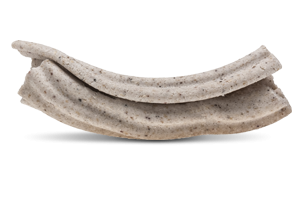 This makes it perfect for an everyday usage, for weight-loss programs and both during training periods and before a challenge. 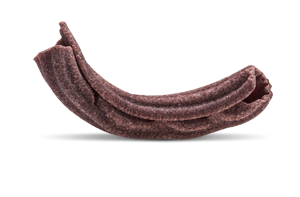 High digestibility means a perfect immune system due to an easier gastrointestinal transit. In sorghum fibers are 3 times as many than in 00 white wheat and this grants us with an excellent gastrointestinal transit and digestibility, not to mention about satiation and its correct absorption. It is important to compare sugar contents: while in sorghum it is not detectable, in 00 and integral wheat it is above 2g each 100g. Its B3 vitamin content is at least twice as high amd it reaches 18% of VNR* value. In white corn fibers are three times more than in 00 wheat, 1.5 times more than integral wheat and even above 3 times as high than yellow corn wheat. Sorghum has a low glycemic index (35-47), this means that it is digested more slowly and by doing so sugar release in slower and more gradual. The low GI is fundamental for those who suffer from diabetes and so it has an imbalance in insuline production. This aspect is important for all the people who want to avoid the usual post-lunch drowsiness and for both athletes and students. White Corn, on the contrary, has a medium GI (55), equal to semi-integral rice, and, even though its release is faster, does not create drowsiness. It comes natural to compare it to pasta made from wheat. This last one’s index ranges from 76 and 82, values that easily suggest how it raises glicemy right after the consumption by stimulating pancreas’ production. The High GI aliments are to avoid during the evening because we are not able to burn them off while sleeping (this is the reason why it is said that they shold not be eaten during dinner). Our Pasta, on the contrary, can be the fundament of a one course meal (pasta and vegetables) that can be eaten in the evening. Sorghum’s iron content is 55% of people’s daily need, while white corn’s is 30%. Iron is an essential element to all, from the growing phases to meno/andropause, and of not less importance for sport and enduring aggressive pharmaceutical therapies. Vegetables (and seldom cereals) contain this element, and it is easy to understand how important they may be to a person suffering from anaemia or a stressful period. 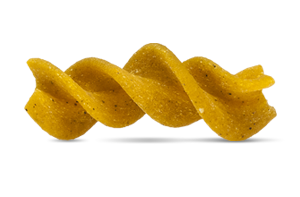 The assumption of our pasta is ideal for growing and studying kids and adolescents. Sorghum’s iron content is 55%* of people’s daily need, equal to 4,4mg, the highest in cereals. 00 white wheat’s iron content is only 10%*. White Corn’s iron content is 30% of RDA (Recommended Daily Allowance), amounting to 2,4mg; integral wheat’s content is half, while regular 00 wheat’s contents are even less than its half. Sorghum’s phosphorous content is 41% of a person’s daily need and white corn is its 32%. Phosphorous is essential to assimilate calcium and to produce energy needed for concentration and memory. B group vitamins are important to the process of fat, sugar and protein metabolization. B1 and B3 are susceptible to heat, but nature has got us covered: sorghum can be cooked in a few minutes, so the dispersion is heavily reduced. B6, found in white corn, is definitely more resilient. Nickel is an important aspect, being a metal to which most people are intolerant or allergic. White Corn’s nickel content is 0,07 mg/kg, a quantity so low it is negligible; 00 white, integral or regular corn wheat’s nickel content is from 6 to 30 times higher. White Corn has different properties than the ones he is commonly thought to have; it is a healthy cereal, source of B6 vitamin and iron, high on fibers, low on sugar and very low on nickel. It is a cereal that can be used daily, even in peculiar diets.